It may be nerve-racking thinking of delivering a retired fighter jet across the streets of Panama City, but for Air Force mechanic Jason Lingenfelter, his wife Christy said her husband felt right at home. "He started out with the F-15s when he came into the military, and he's since transitioned into the 22s," Lingenfelter said. "So this is like coming back to home. He's back with his original air frame and he's very excited about it." 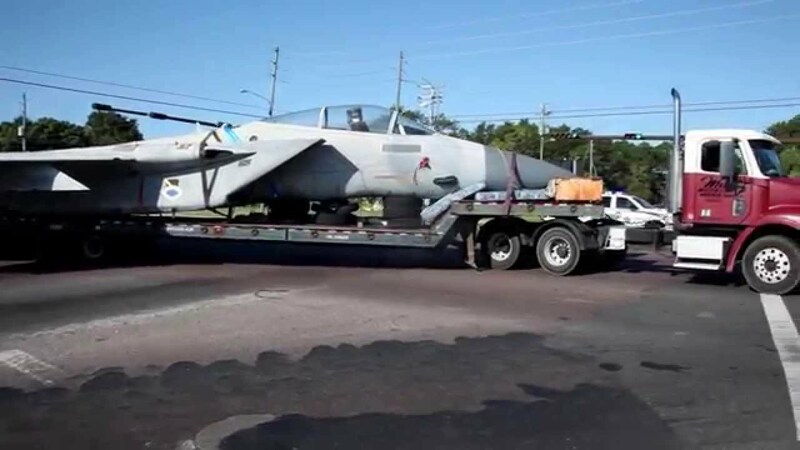 Lingenfelter joined dozens of others Sunday morning to help bring the Eagle F-15 fighter jet from Tyndall Air Force Base to Haney Technical Center.